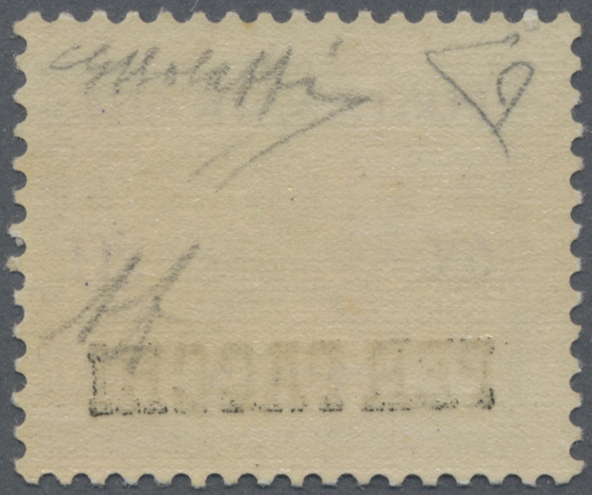 21035 postfrisch (never hinged) ** 1273 Kbg. var, Sass. 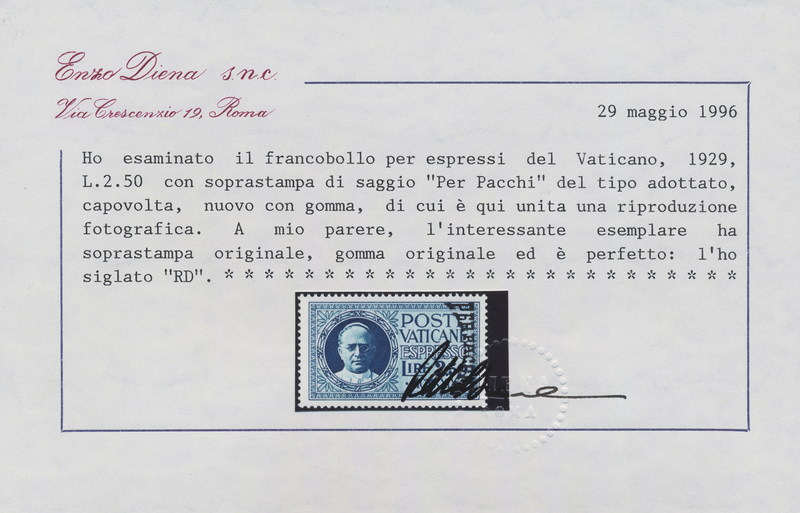 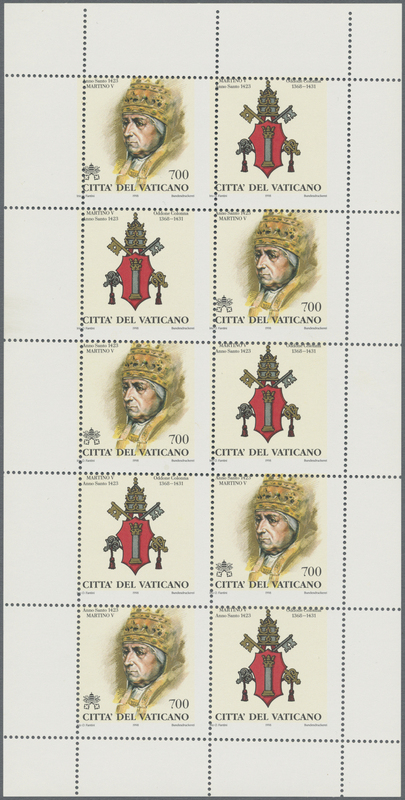 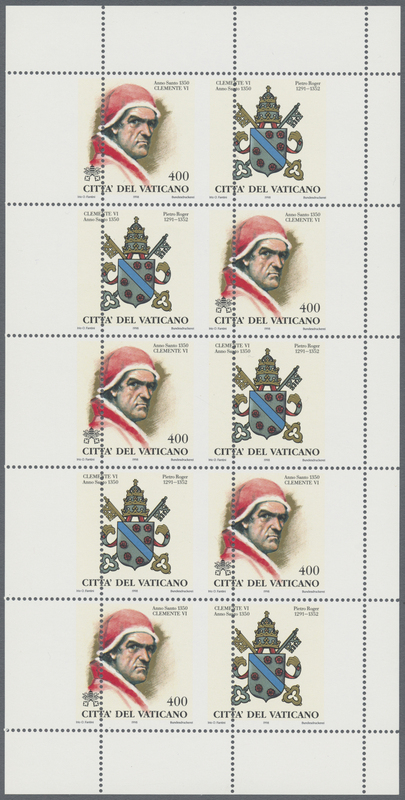 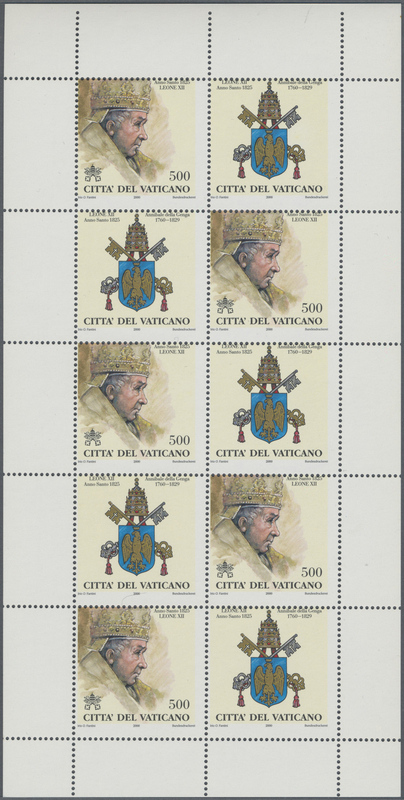 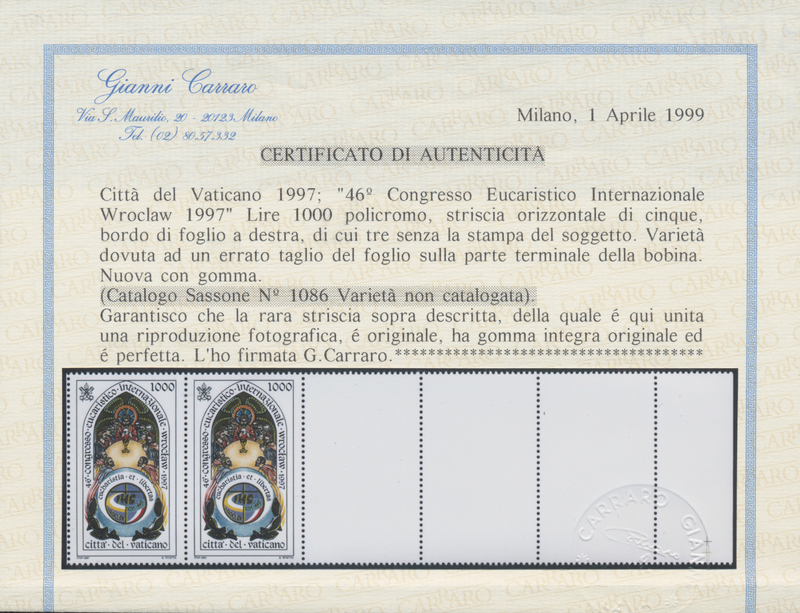 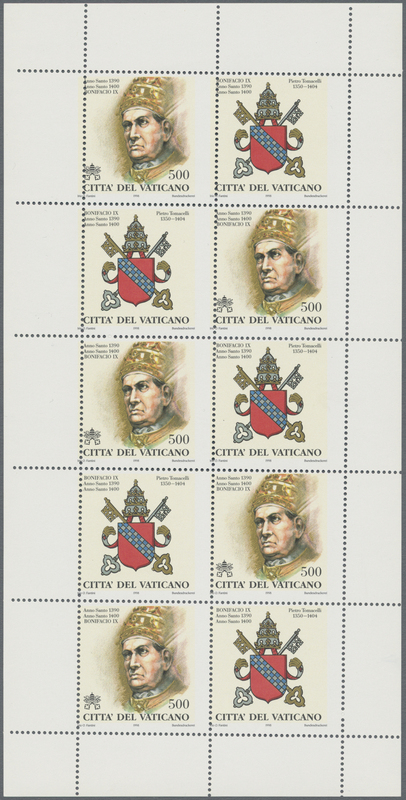 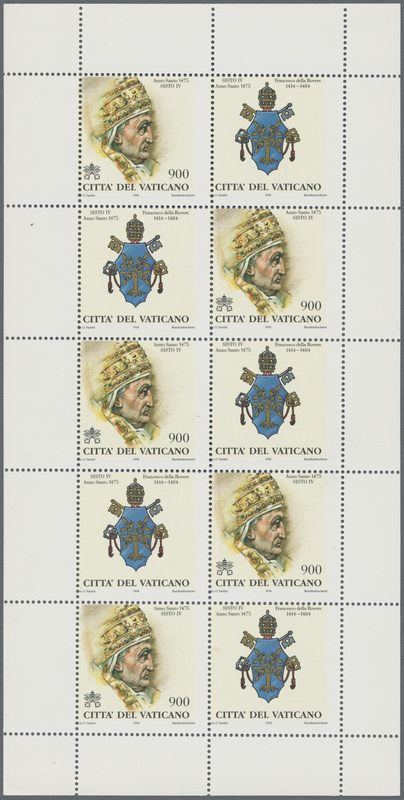 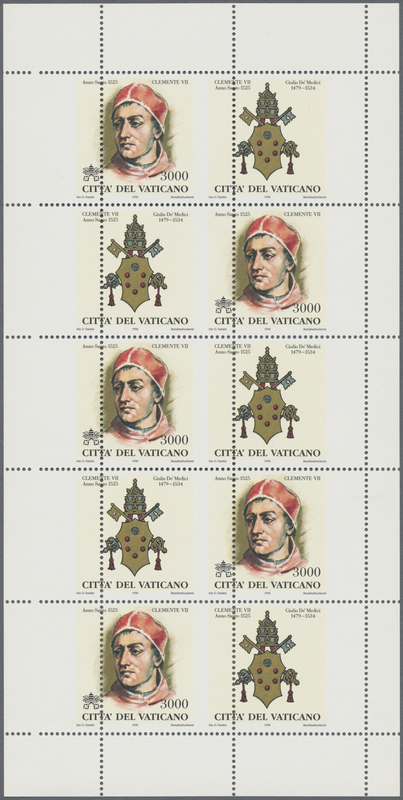 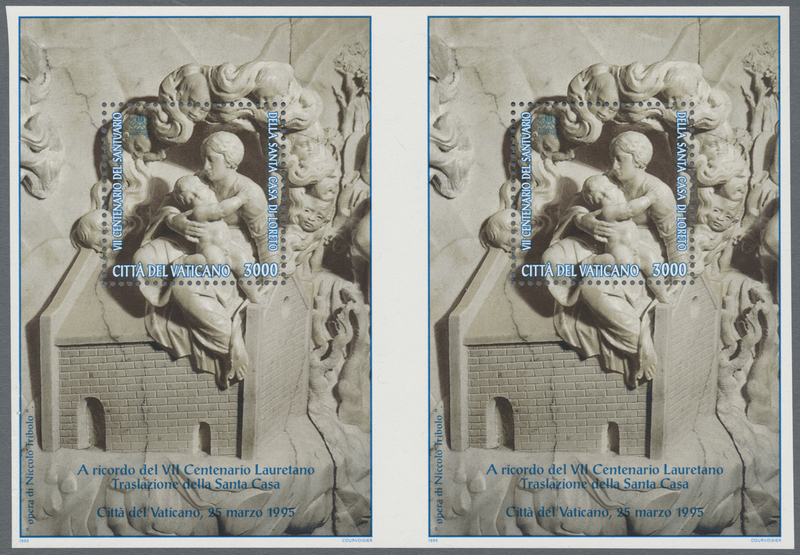 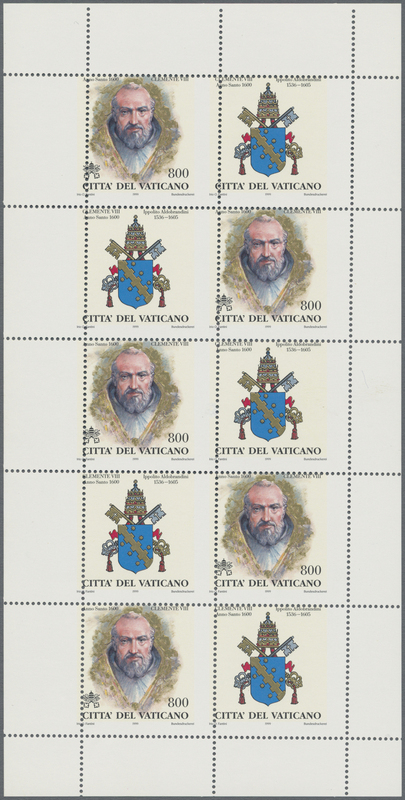 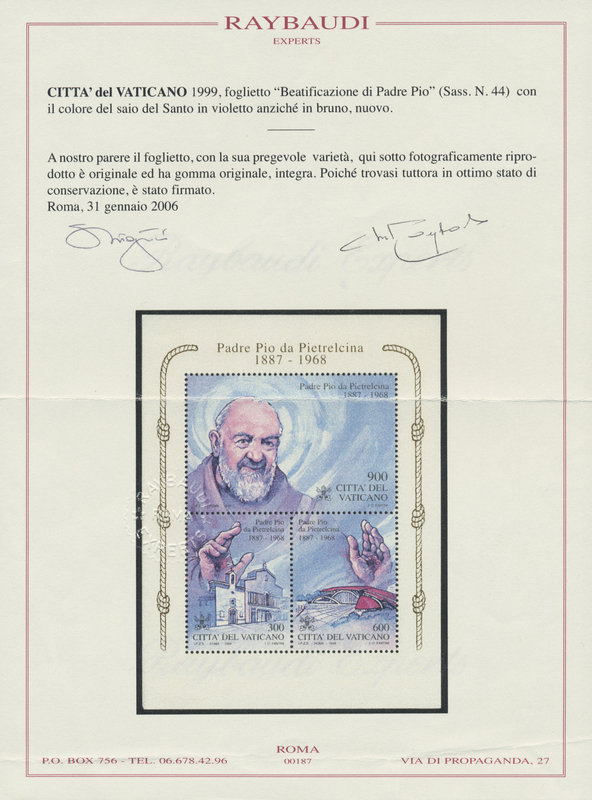 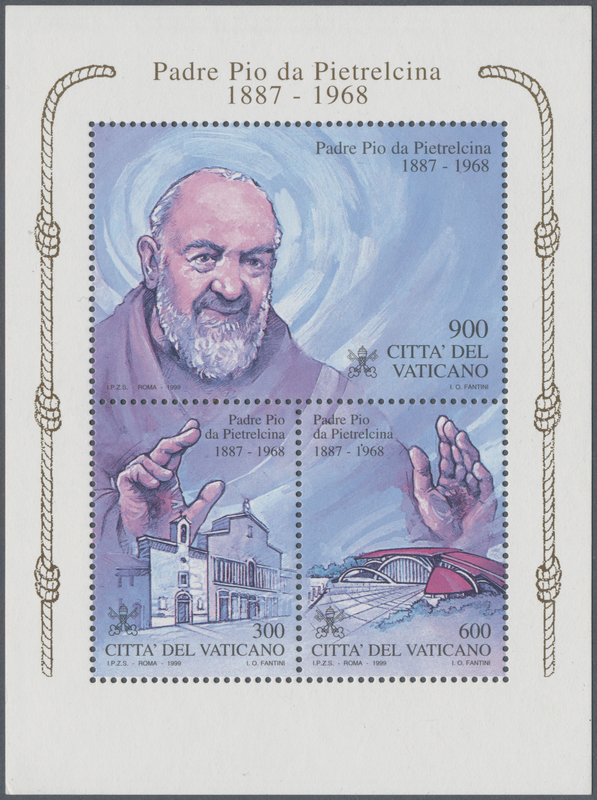 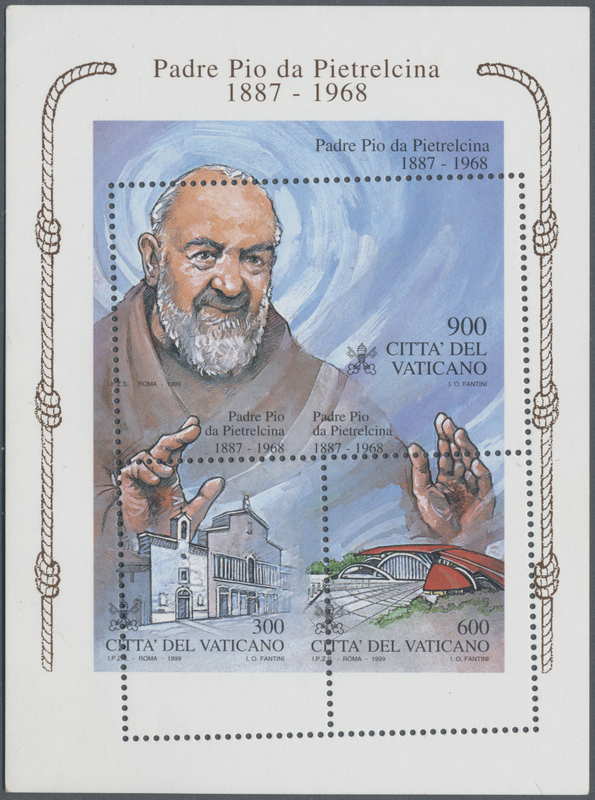 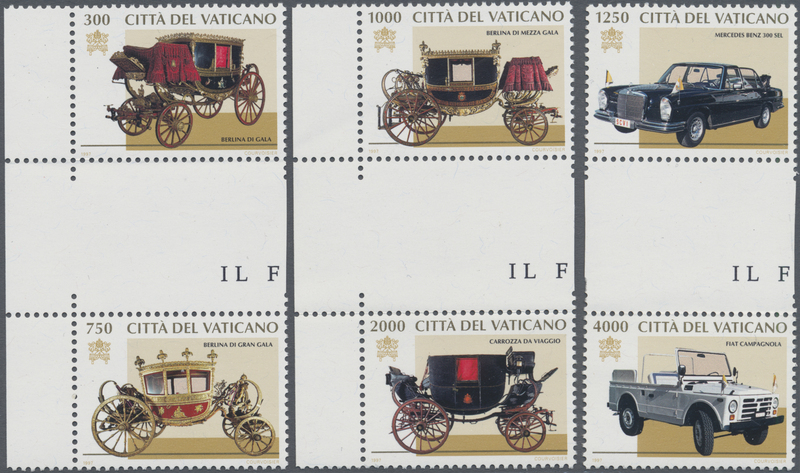 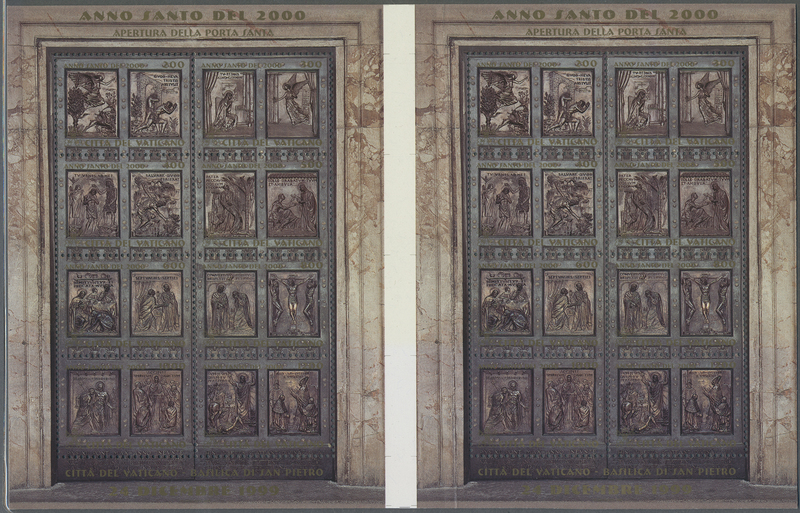 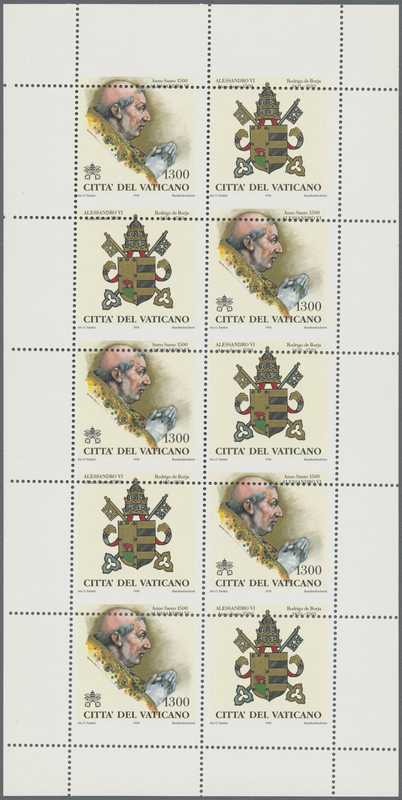 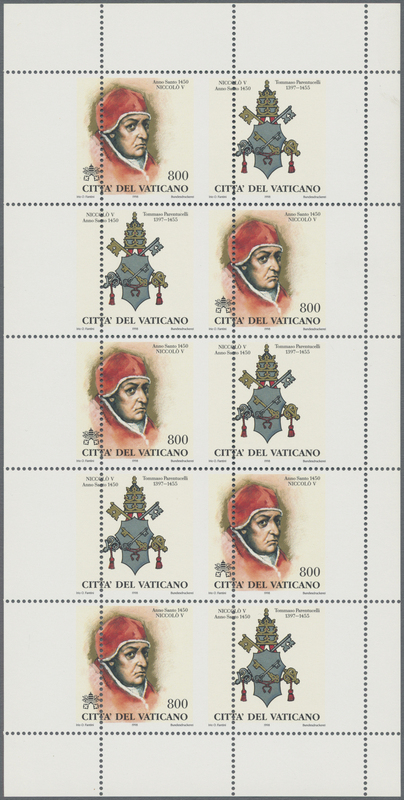 1999, 1000 L "Pope Innocent X. 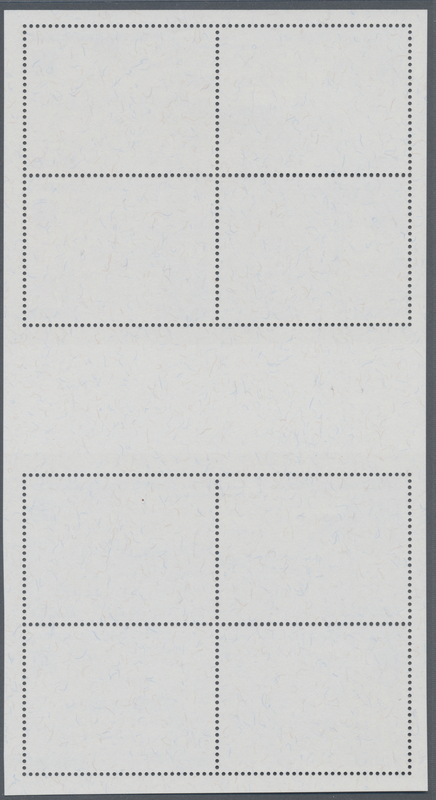 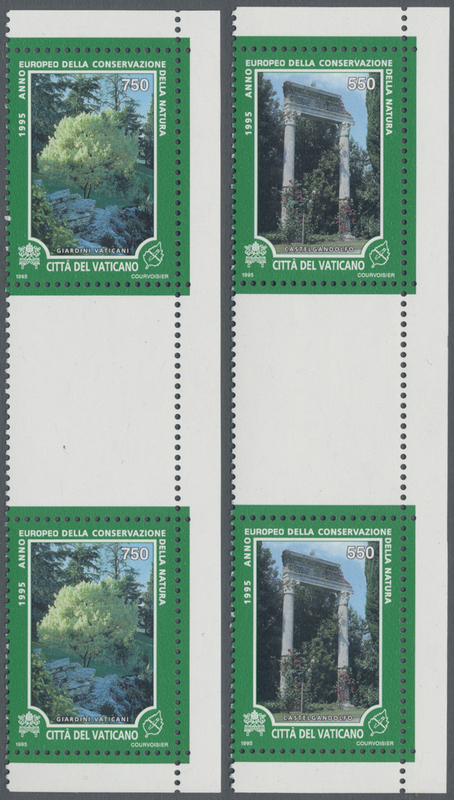 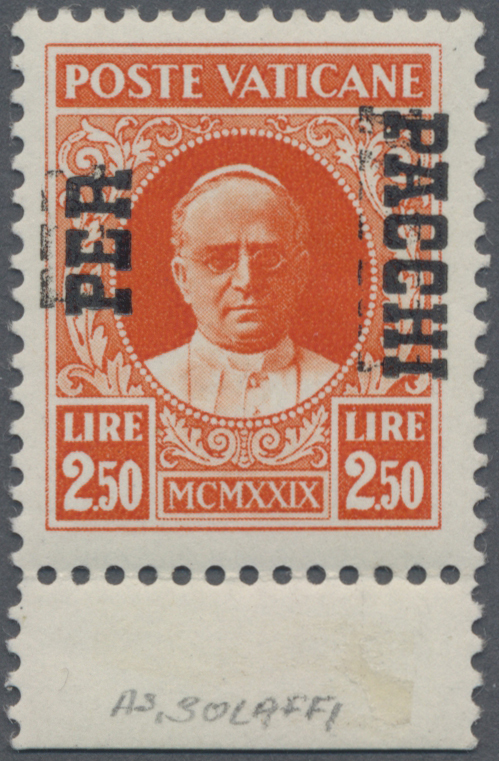 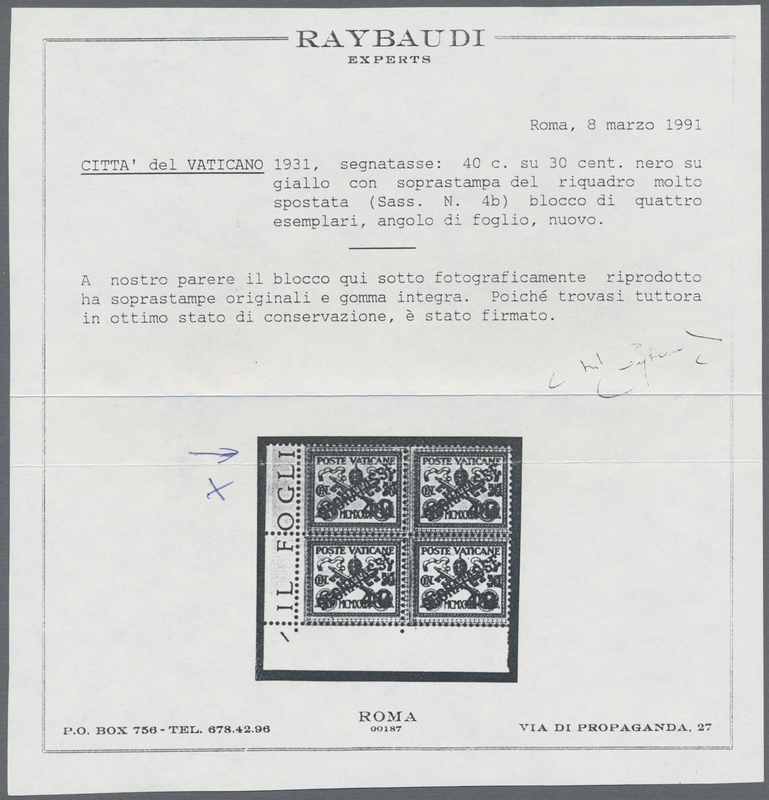 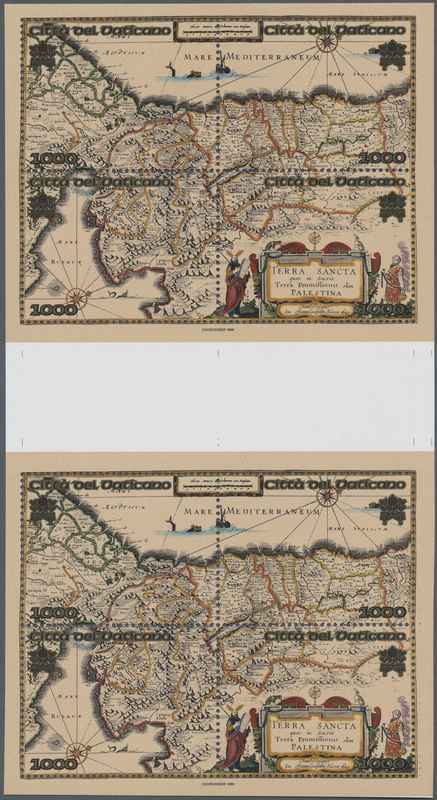 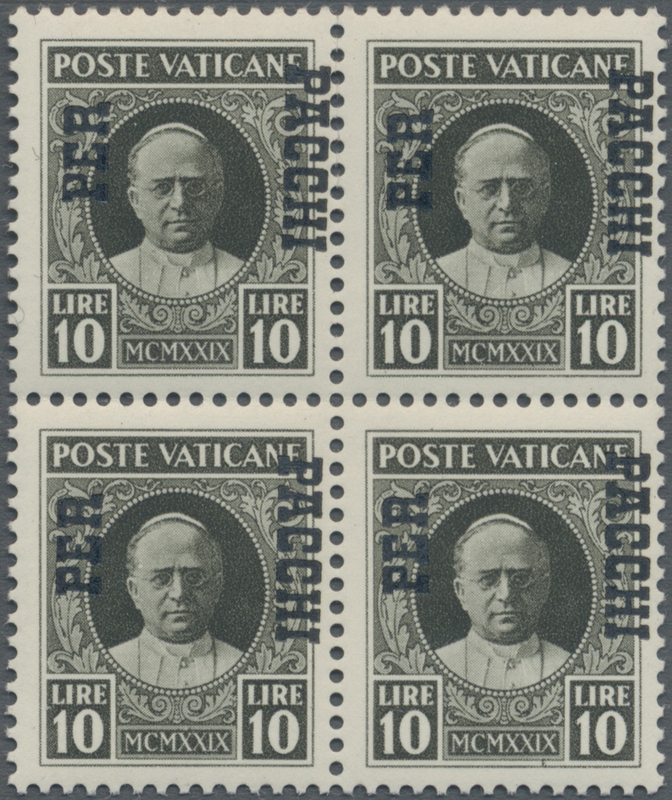 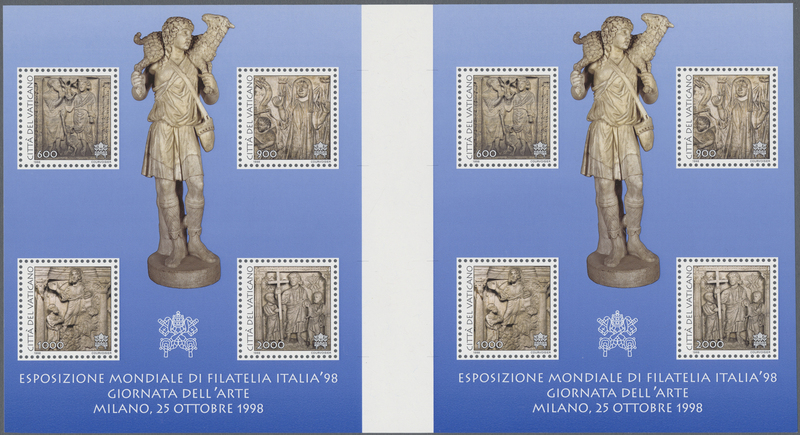 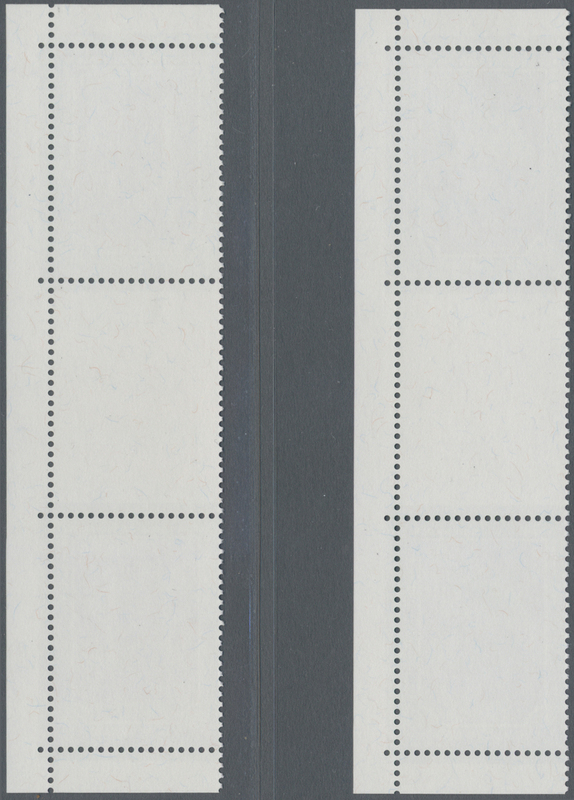 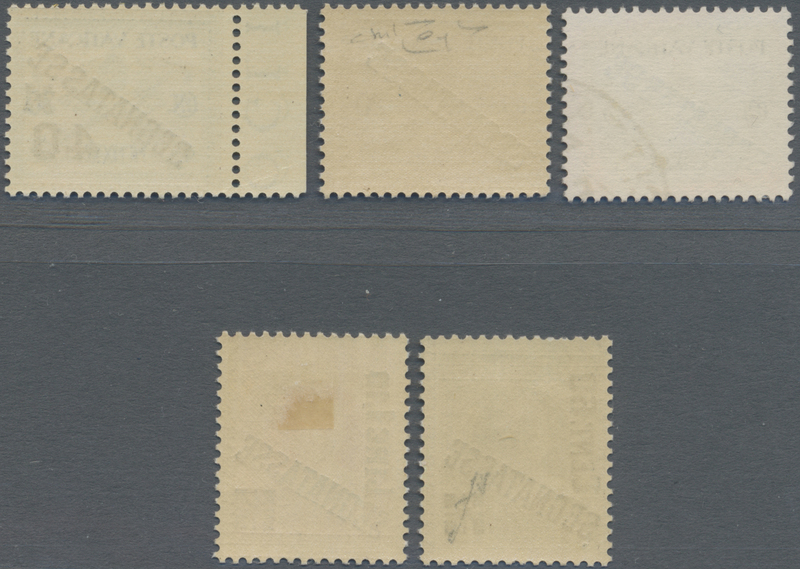 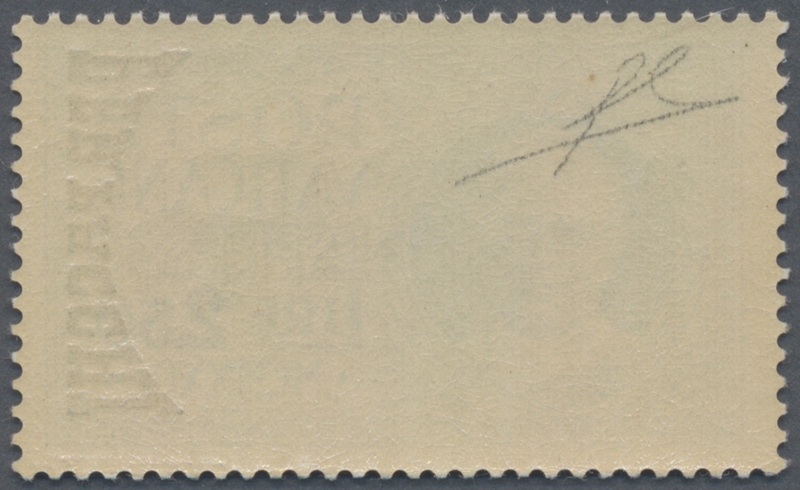 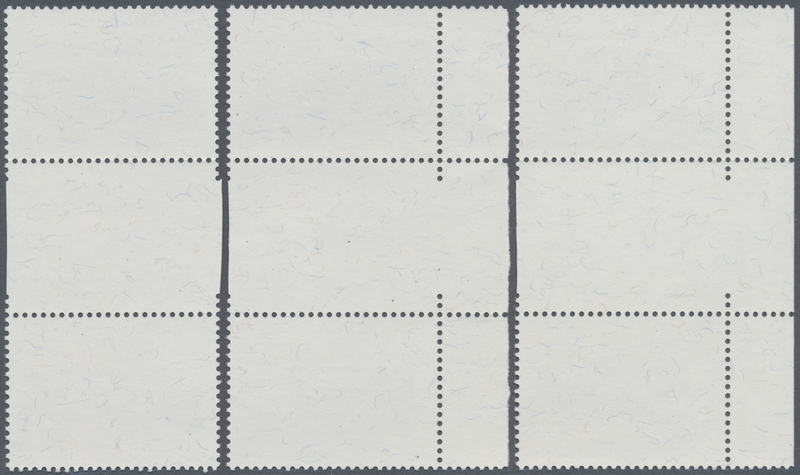 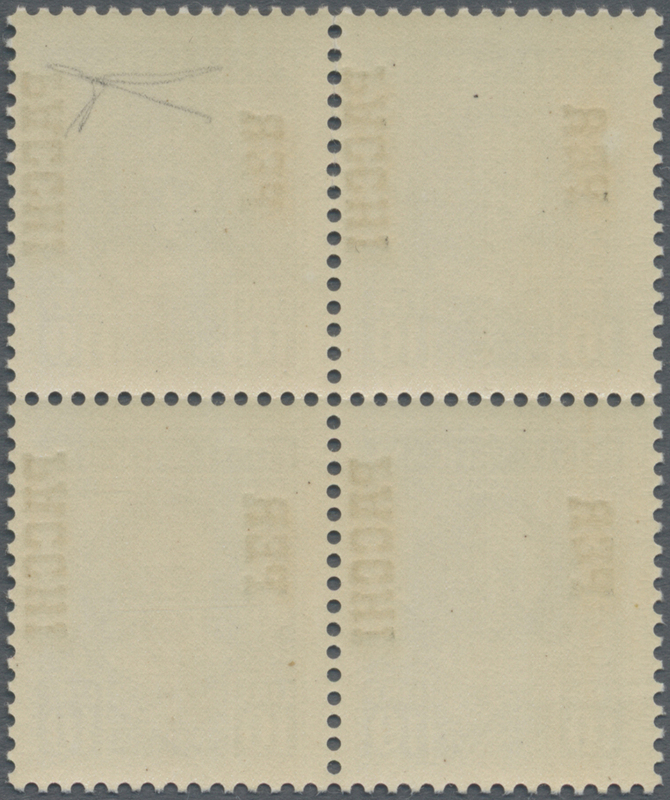 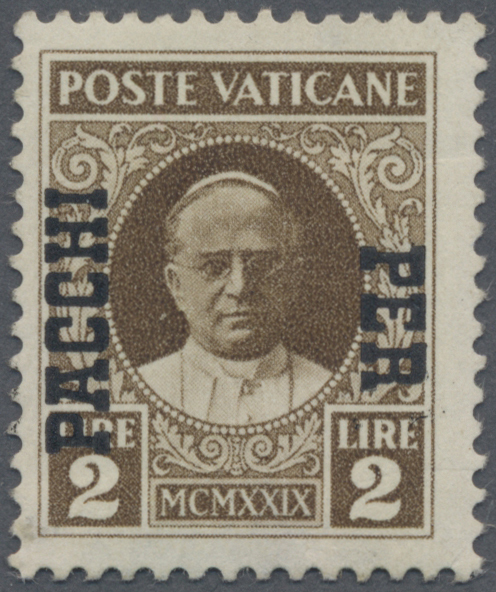 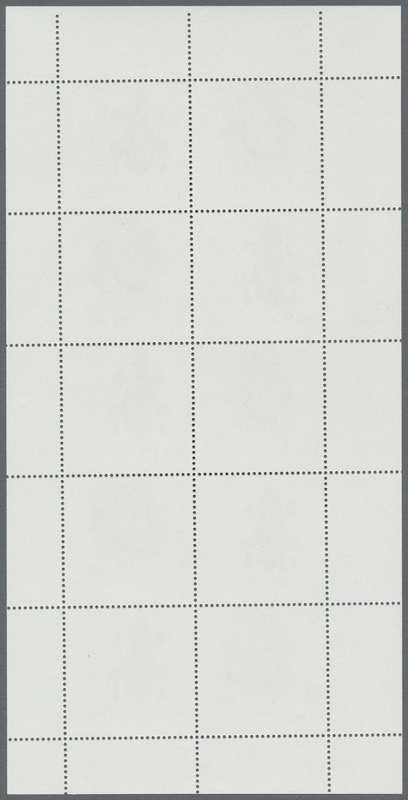 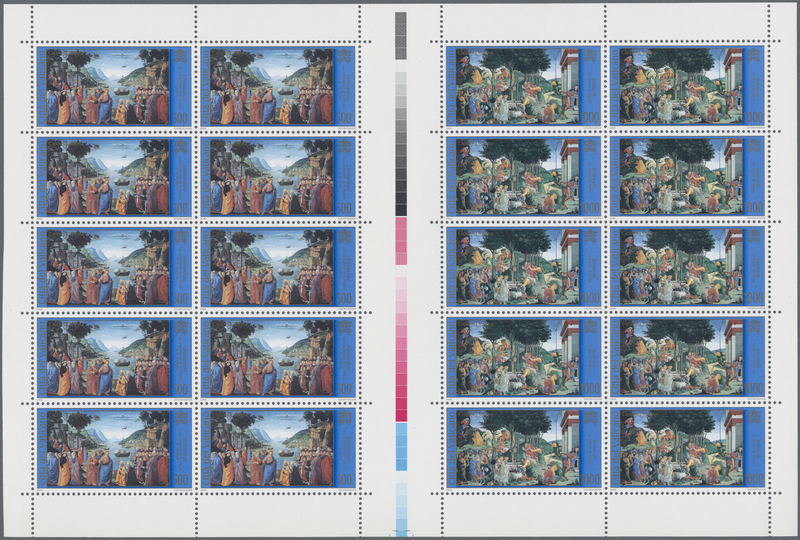 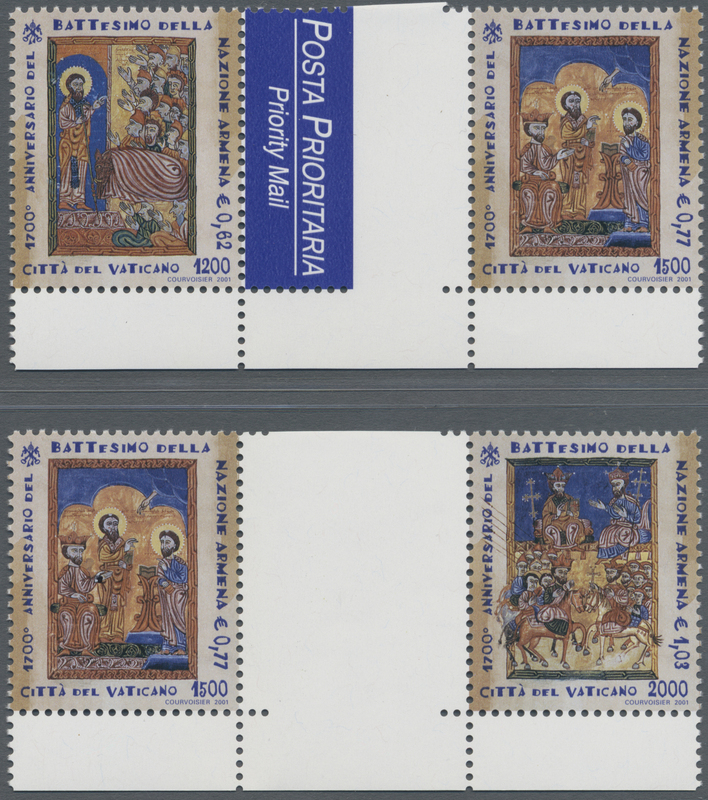 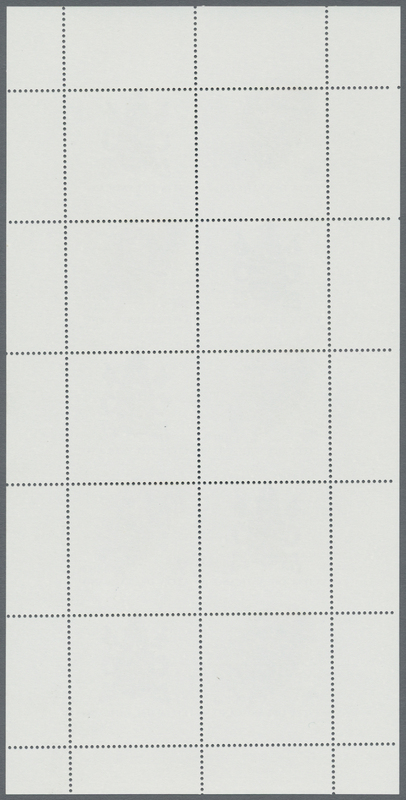 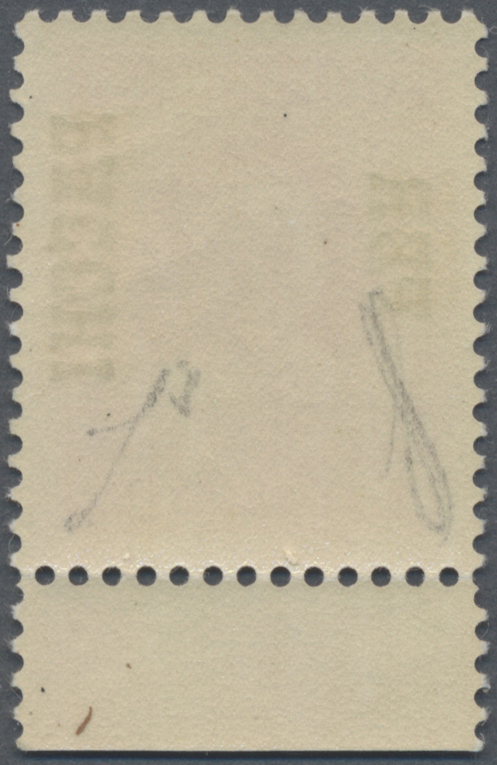 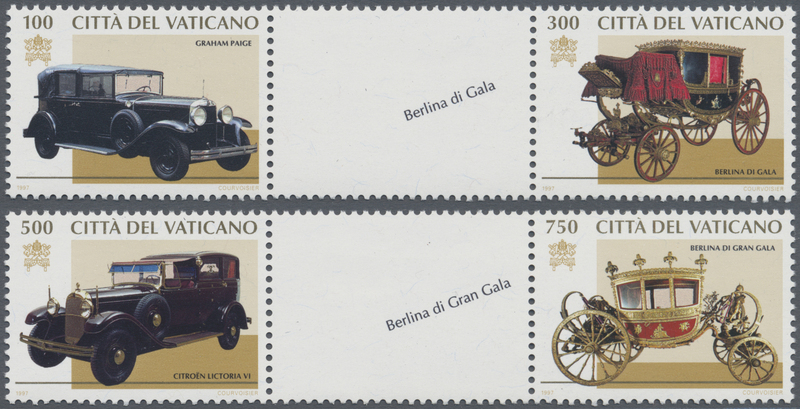 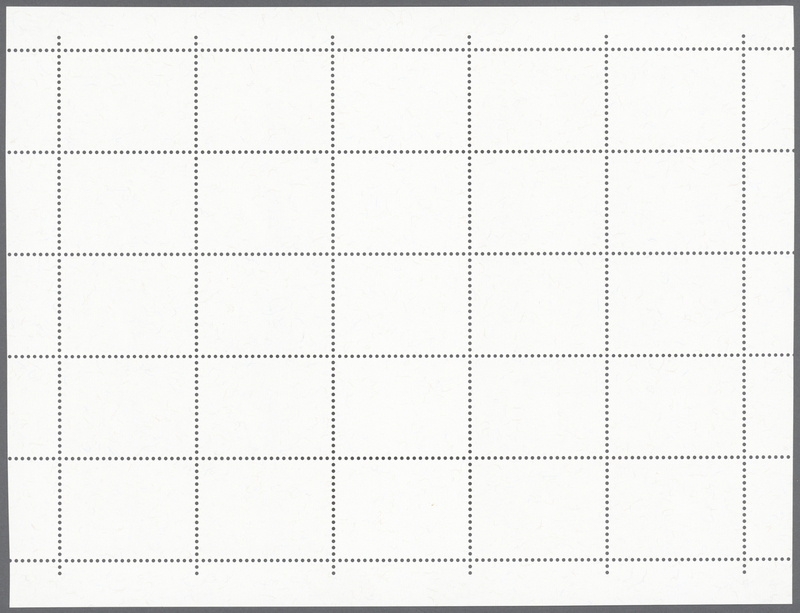 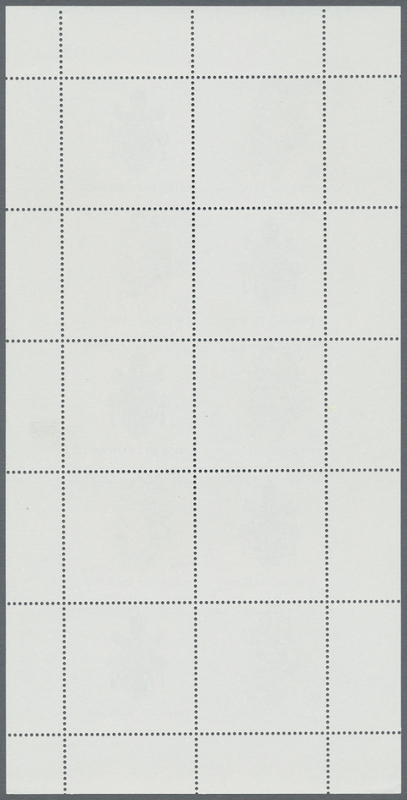 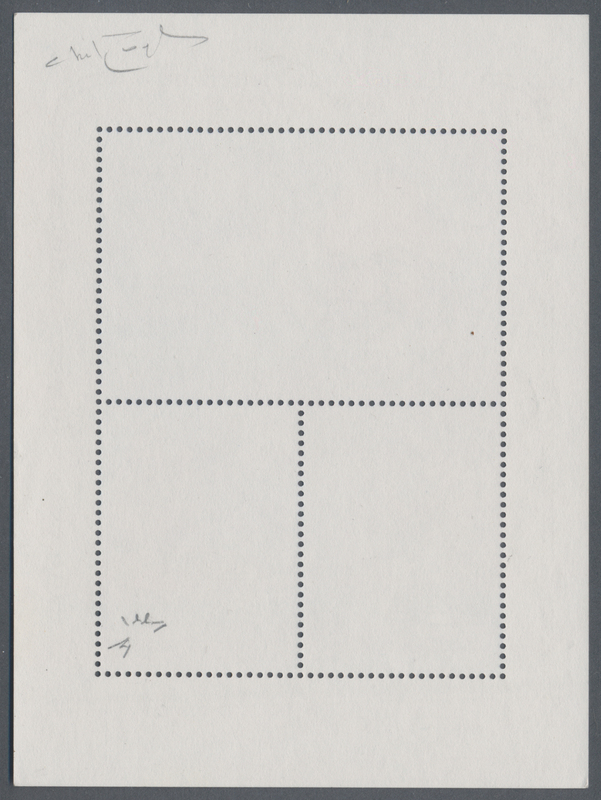 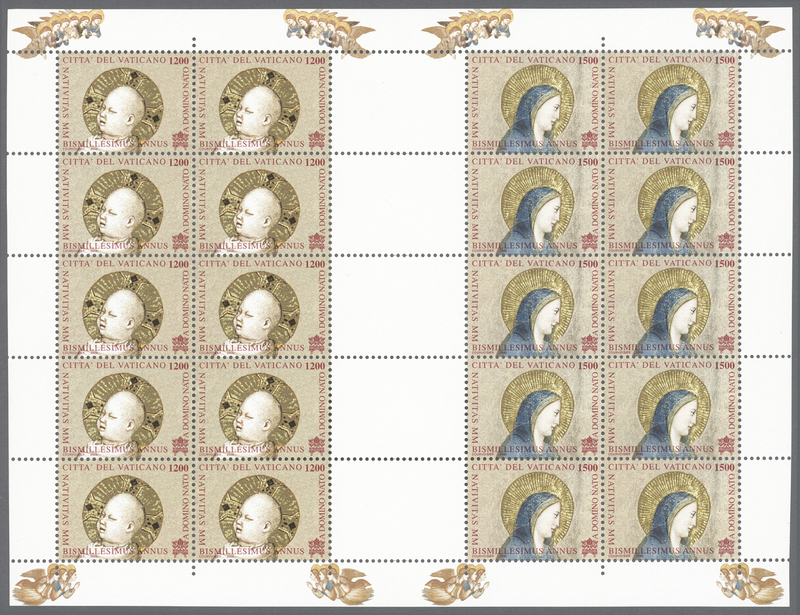 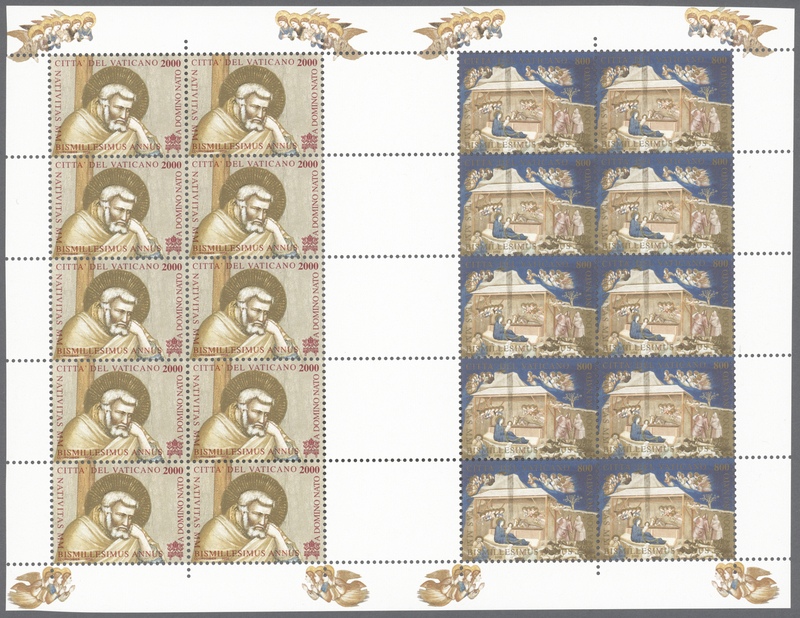 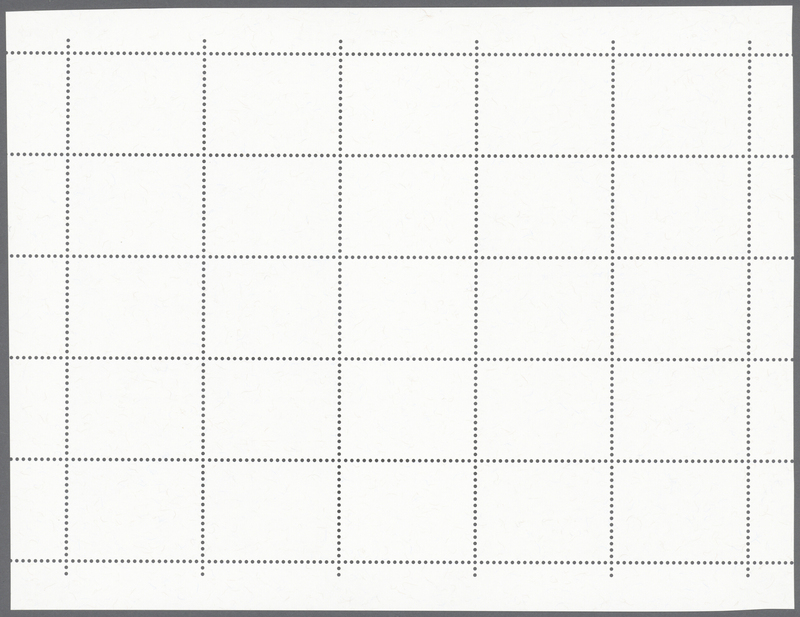 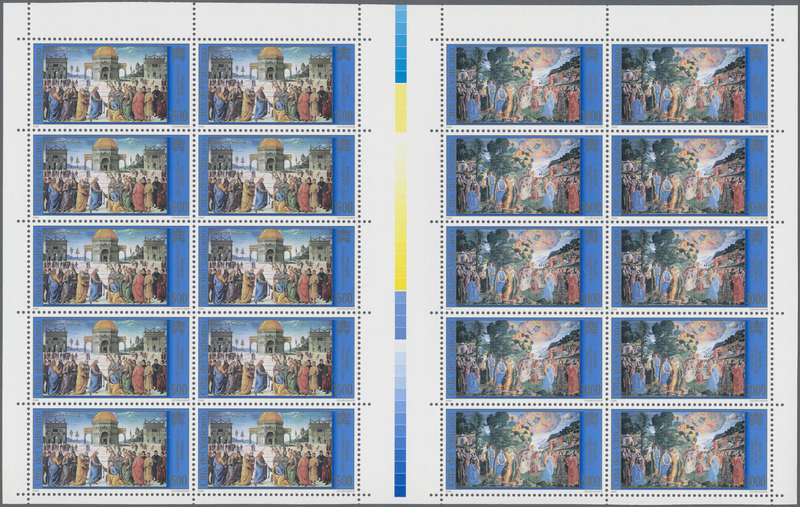 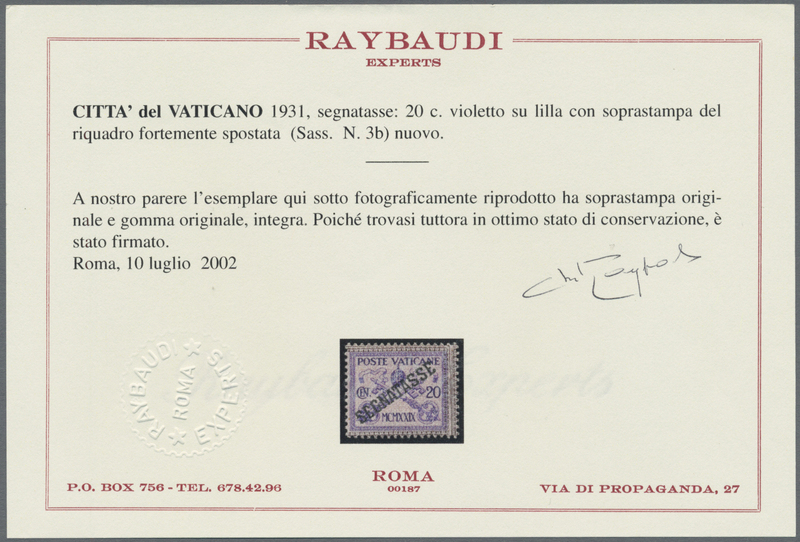 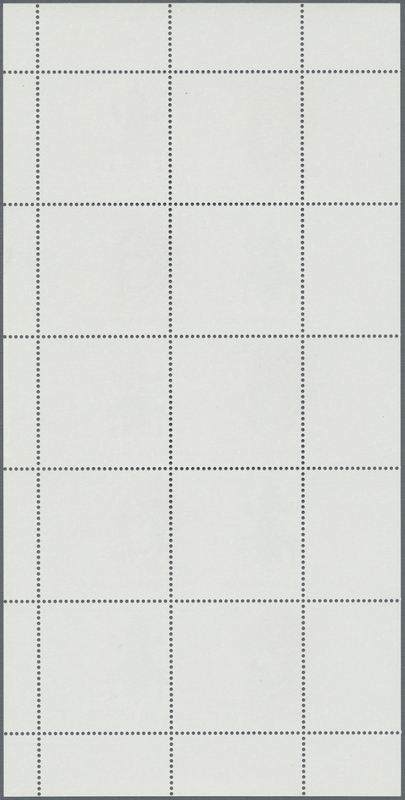 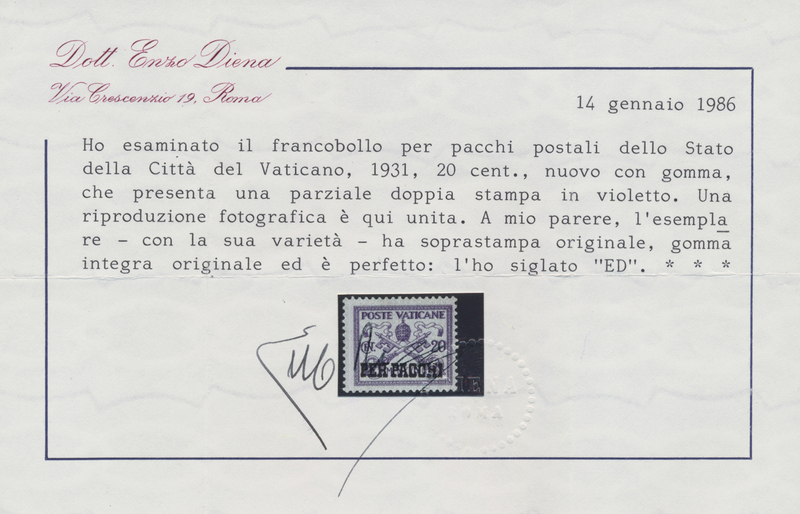 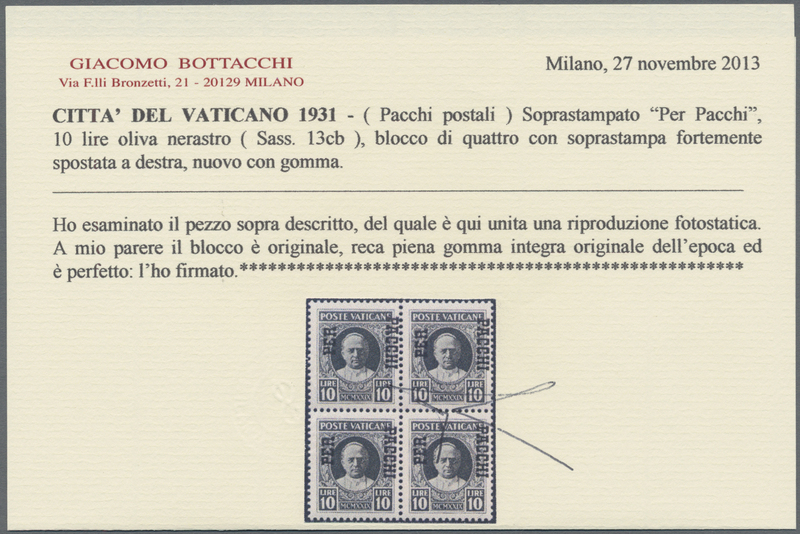 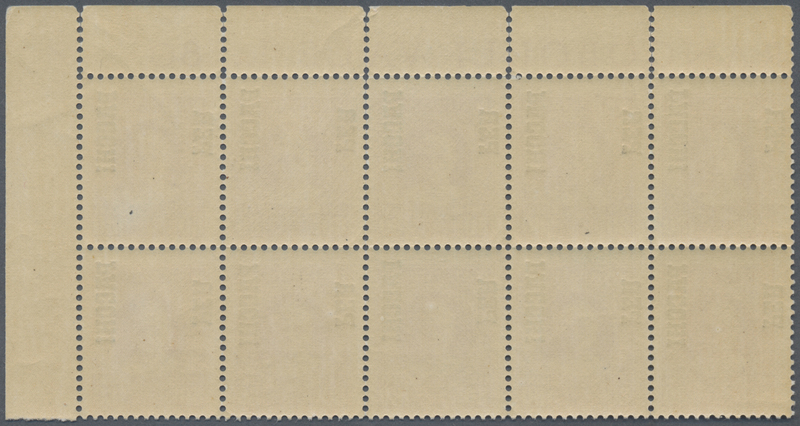 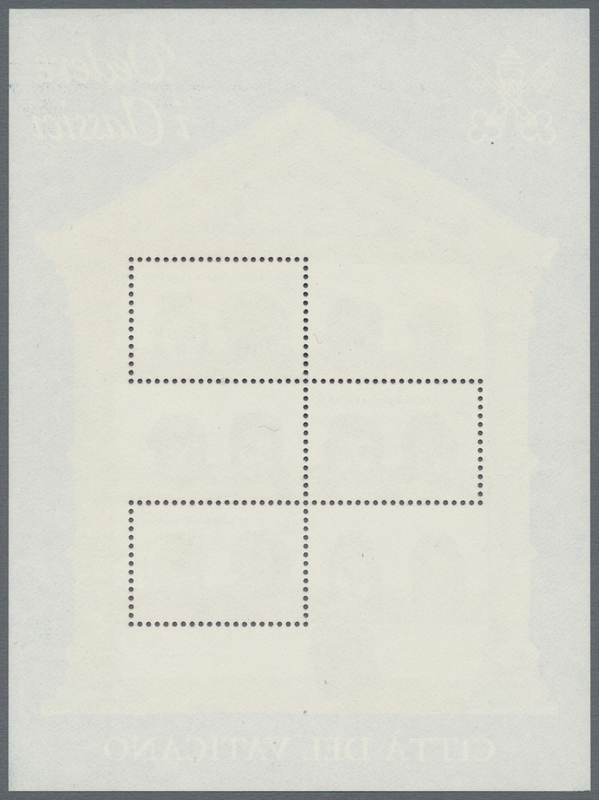 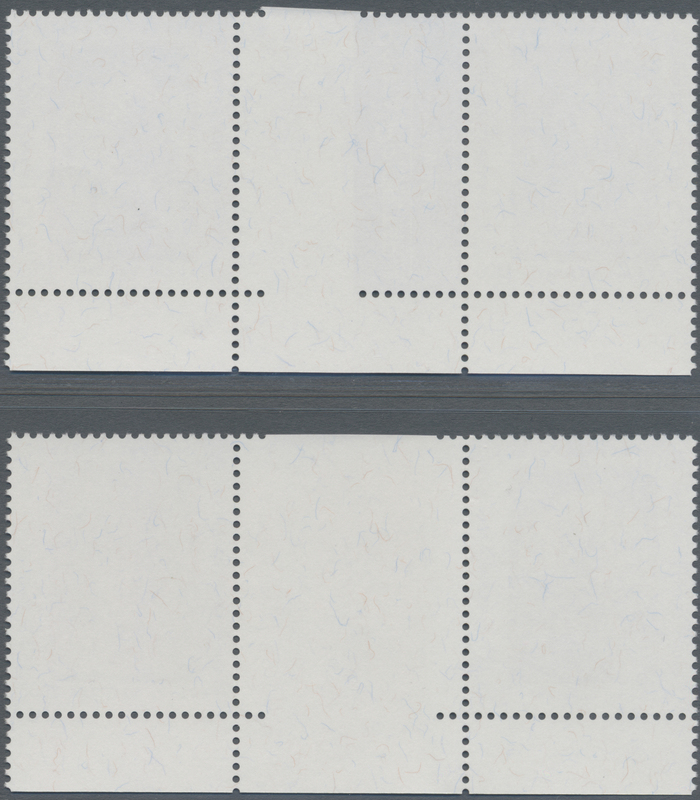 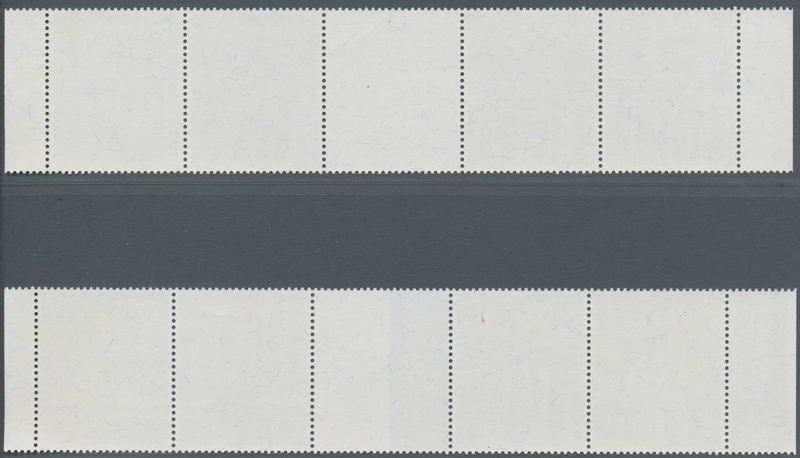 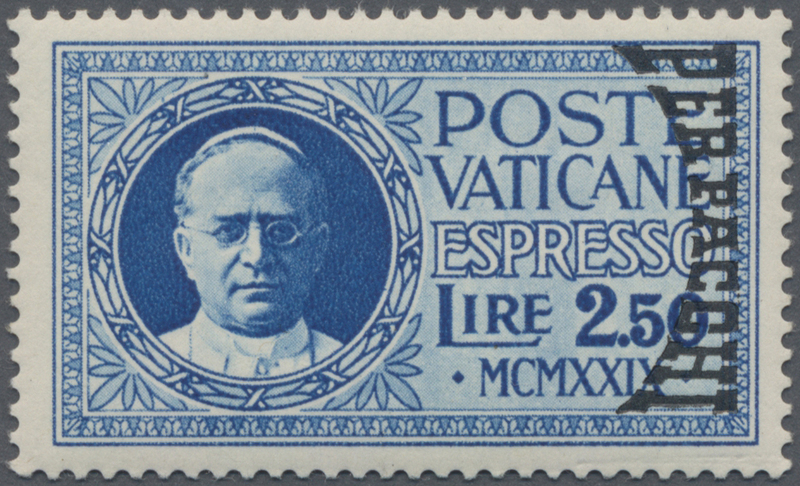 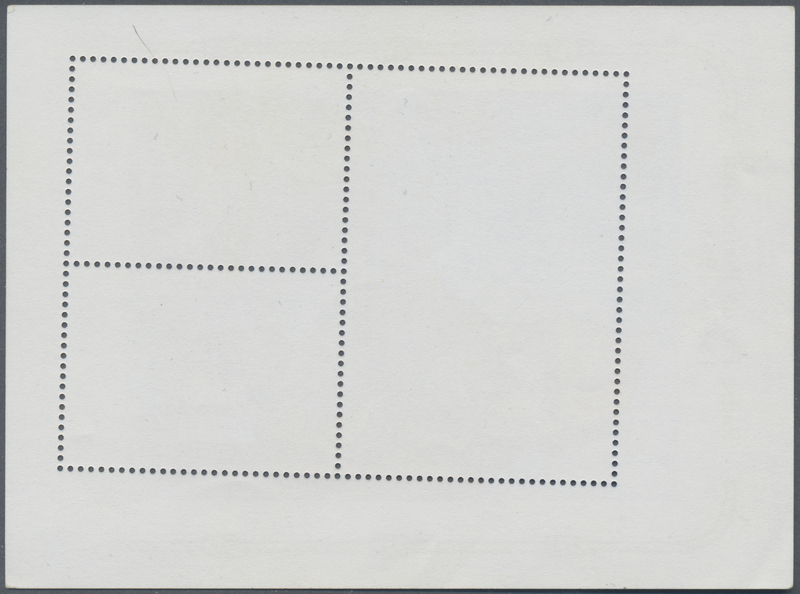 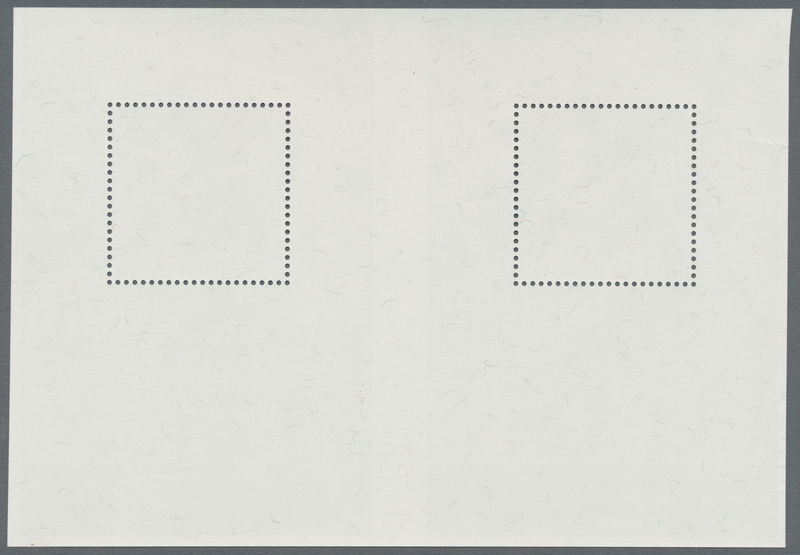 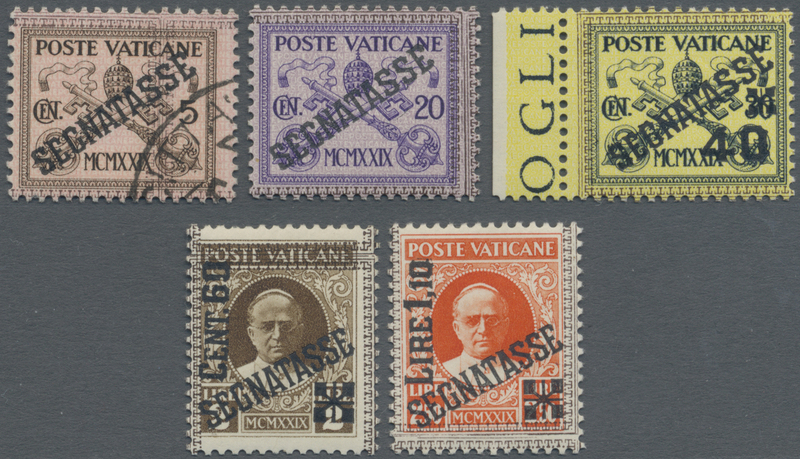 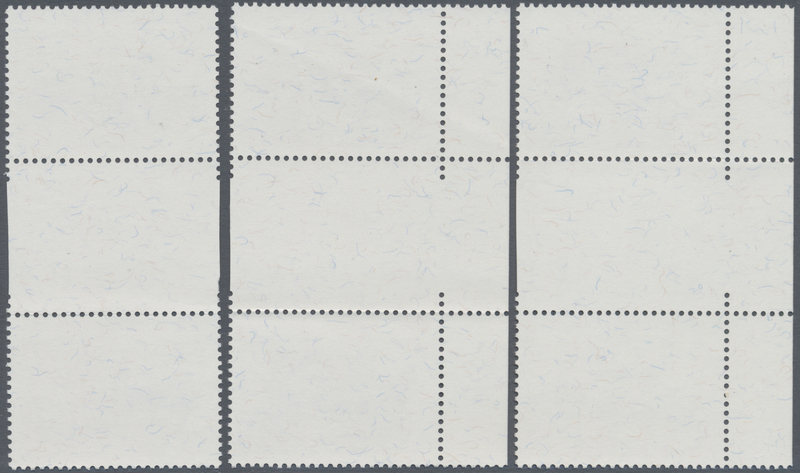 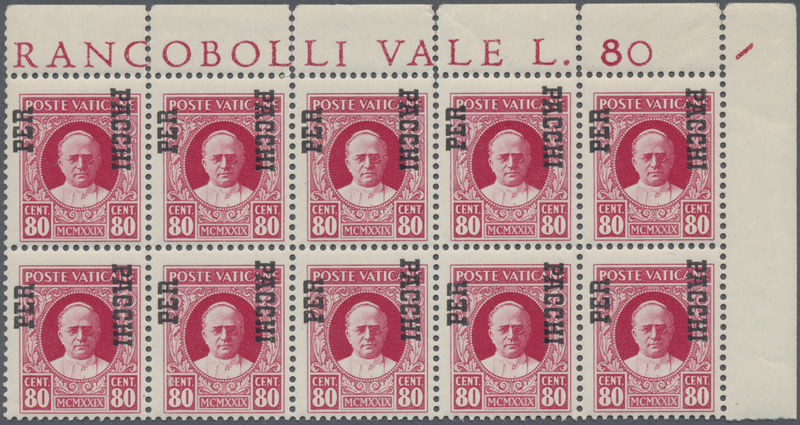 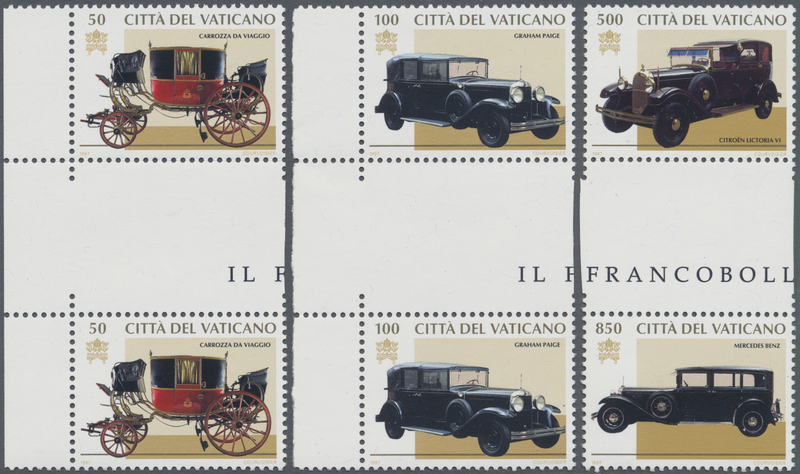 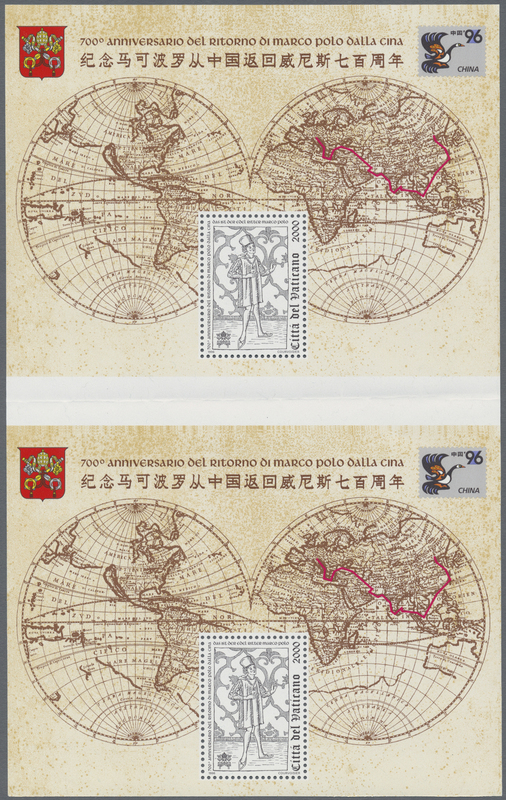 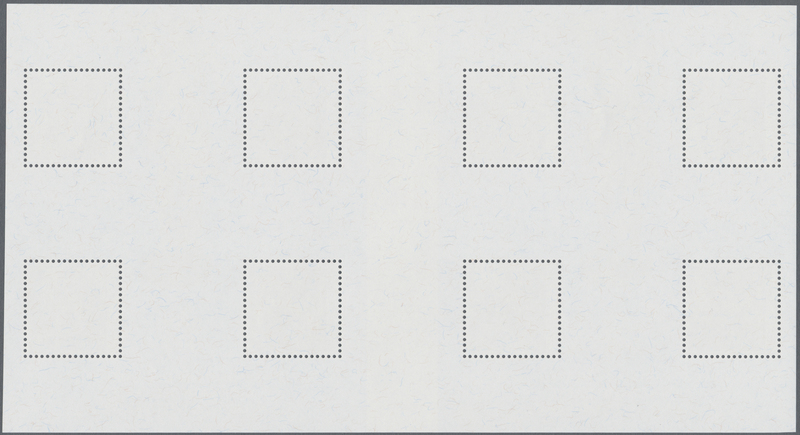 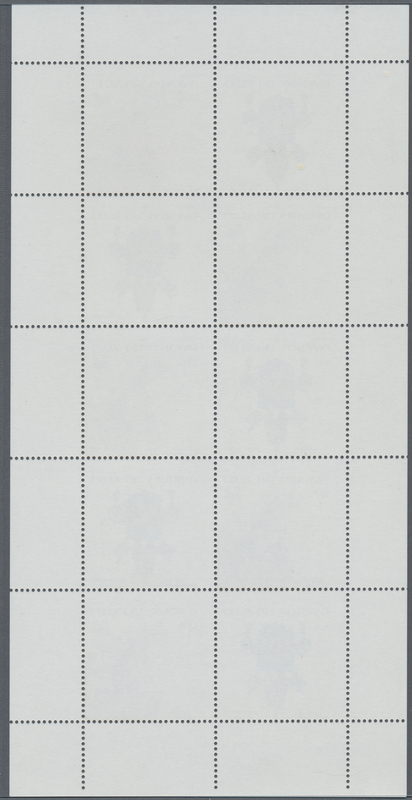 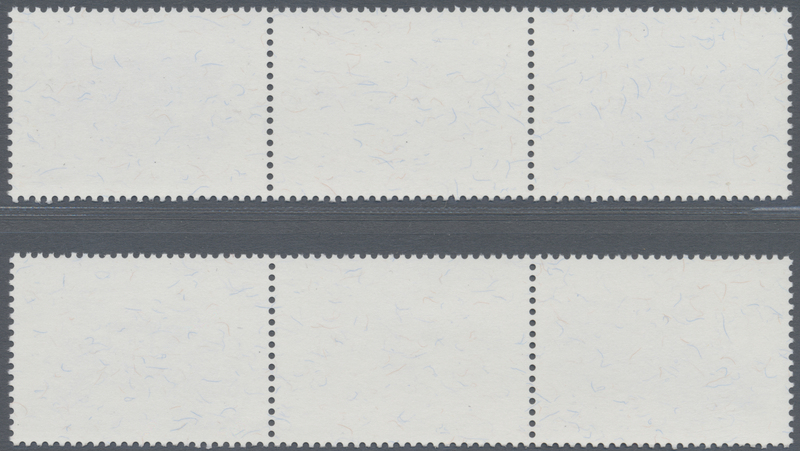 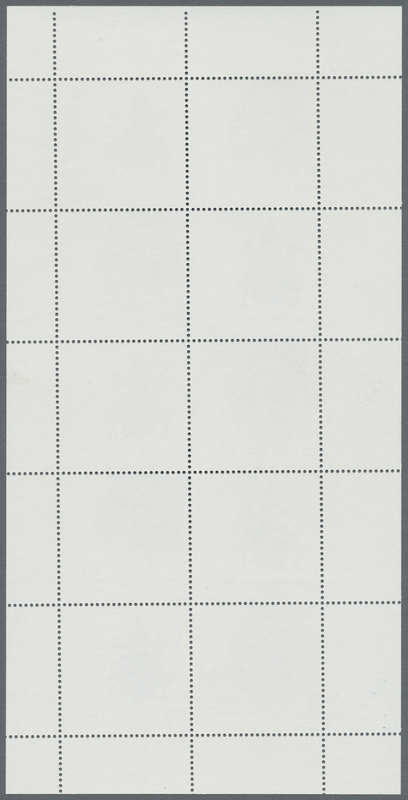 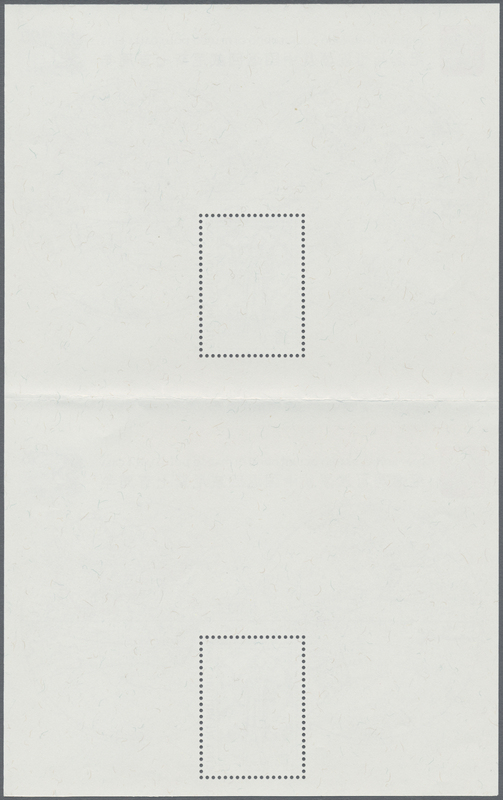 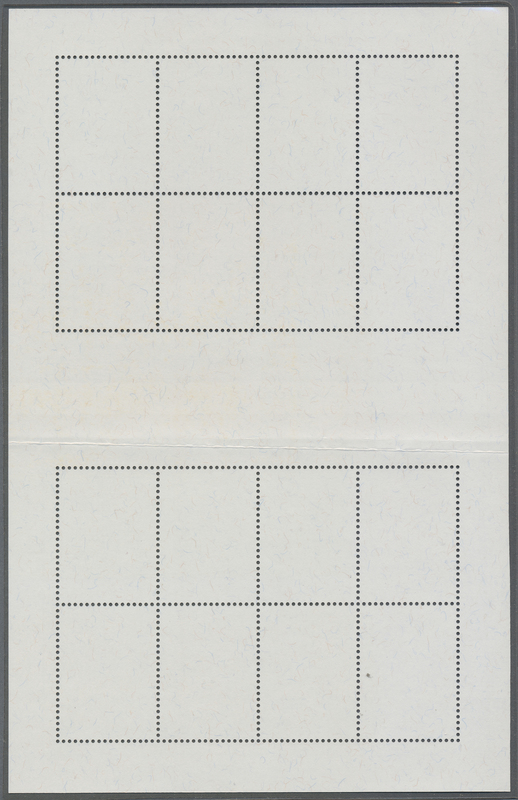 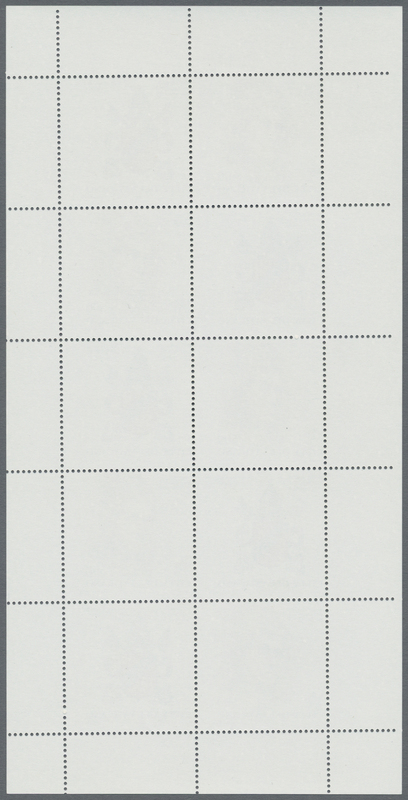 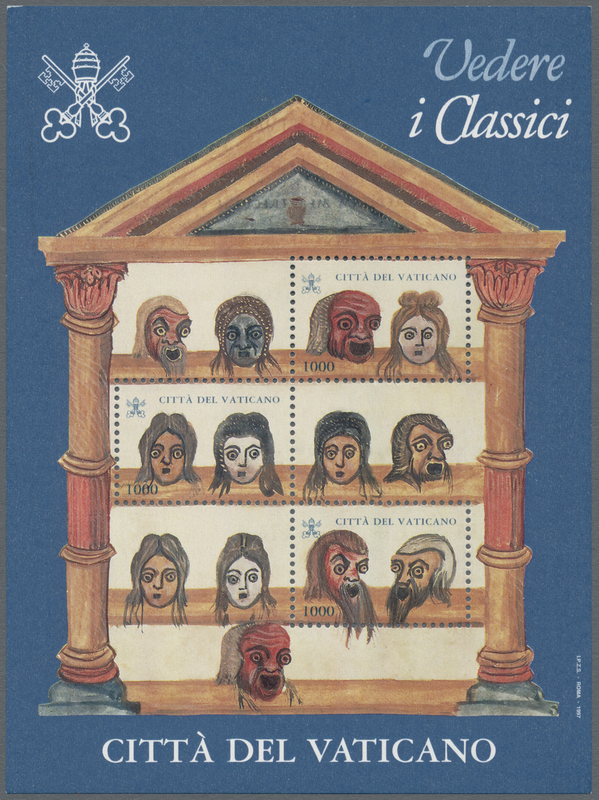 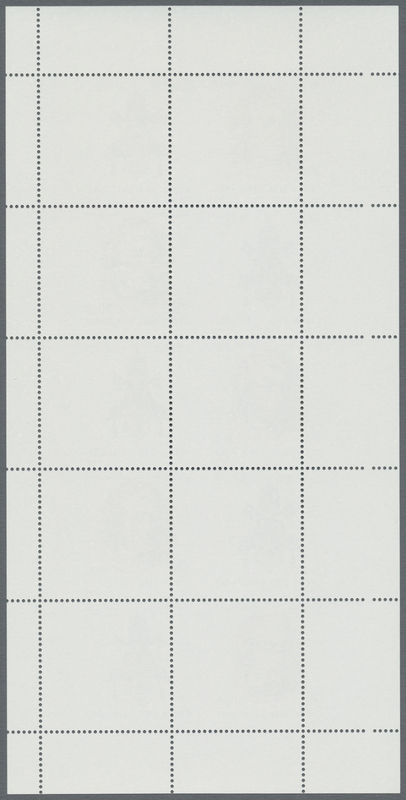 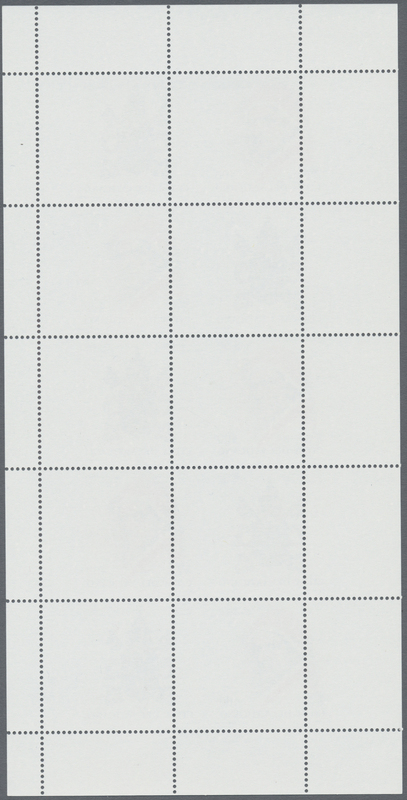 ", miniature sheet, perforation error with two additional stamp fields and margin imprints at lower right corner. 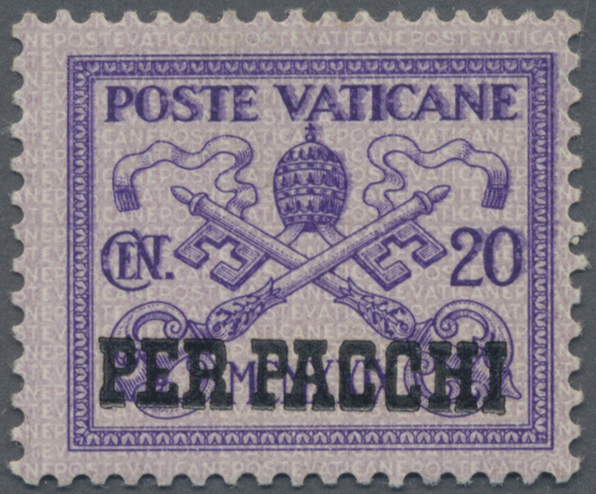 Very rare and attractive variety! 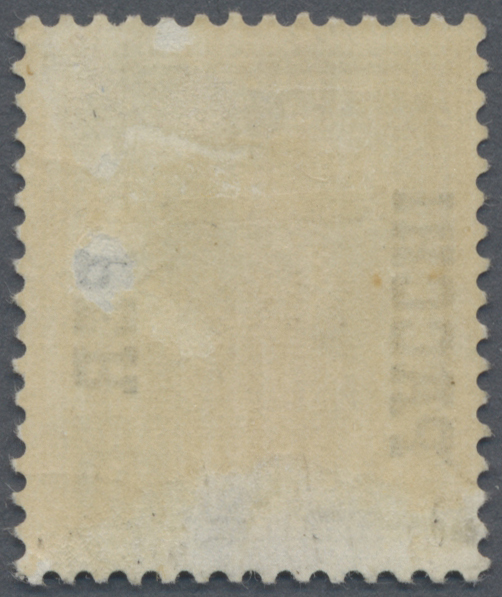 VF mint never hinged condition.